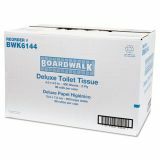 Boardwalk Toilet Paper, 2-Ply, White, 4 x 3 Sheet, 400 Sheets/Roll, 96 Rolls/Carton - The economical choice for quality bathroom tissue. 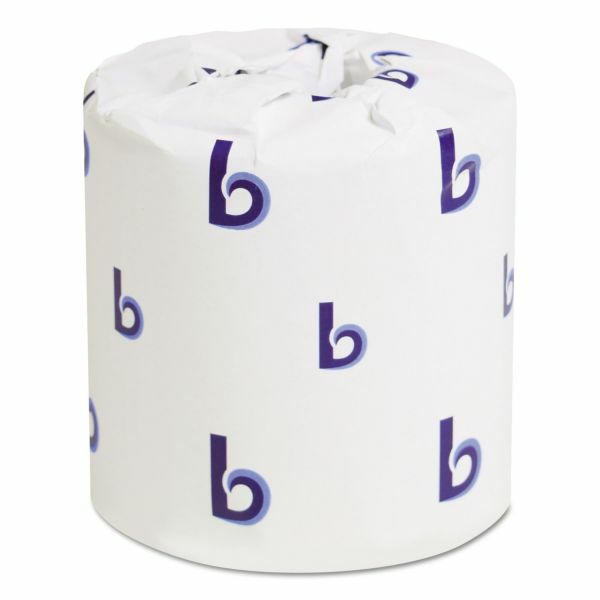 White, embossed, standard size roll. 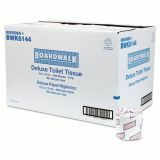 This 2-ply toilet tissue has 400 sheets per roll with a sheet size of 4" x 3". Includes 96 rolls. 100% total recycled content, 80% post-consumer. 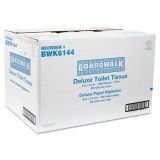 Safe for all standard sewer and septic systems. 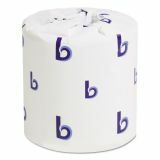 400 sheets per roll, 96 rolls per carton.